Check out the latest Headway Foundation media features below. On Street Beat’s Brain Injury Awareness Special, Renberg discusses Headway, the recent Concussion Awareness Week success, and the ideology behind our New Tough Initiative. Skip to 6:23 to see our feature. Click here to check it out. Colorado College’s student paper did a full page feature article on their D1 ice hockey team’s participation in Concussion Awareness Week 2019. Read all about Player Rep, Mason Bergh’s take on the event with comments from Headway. In the article titled, “The Mind That Matters,” Hamilton shares his experience with concussion during his collegiate ice hockey career at Colgate University. He touches upon the mental health components of head injury, his work with Headway, and the importance of starting a dialogue about the subject in locker rooms with Concussion Awareness Week. ECHL Hockey Fan, Dana Brown, writes about Headway’s partnership with ECHL Week and the importance of improving concussion management. Headway Co-Founder Josephine Pucci was interviewed about her experience with concussion, decision to retire, and the injury's shocking prevalence in women's sports. Check it out below! Headway was recently featured on DC are local news! Check out this feature on Headway's Sarah Renberg and learn how her personal experience drives her passionate work for the foundation. 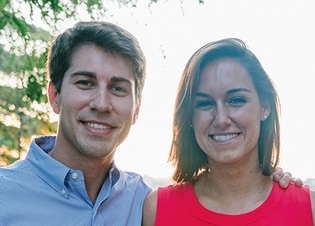 Headway Co-Founders Paige Decker and Danny Otto were featured in Yale University's Alumni Magazine. The article, "Taking a Hit And Learning A Lesson," explains Headway's peer-to-peer approach when dealing with athletes and highlights last February's ECAC Hockey Concussion Awareness Weekend. Headway's Program Development Coordinator. Sarah Renberg, was recently featured on the Heads n' Tales Podcast discussing her recovery, Headway's initiatives, and last year's ECAC Concussion Awareness Weekend. The Heads n' Tales Podcast was started by Kevin Saum to share inspiring stories of perseverance and the latest innovations in sports health. Kevin is particularly passionate about concussion education because he is a Second Impact Syndrome survivor. Take a listen and hear about all about Sarah's take on her recovery and what Headway has been up to! Headway Co-Founder Paige Decker was recently featured in Sports Illustrated in a long-form story chronicling her journey to recovery. In the article, "After Her Concussion Nightmare, Paige Decker is Dedicated to Keeping Athletes' Brains Healthy," written by Devon Heinen, Decker provides detailed insight into her experience with a concussion as well as her struggle to find effective medical care. Headway Co-founder Josephine Pucci was recently interviewed for NPR's "Only a Game" radio series. She discusses her long journey to recovery, her decision to retire from hockey after winning an Olympic Silver medal, and her work with Headway Foundation. Get the inside scoop here!